1. Go to http://www.junctionnetworks.com and login. Click on the PSTN Gateway section and note your VOIP username and password. 2. 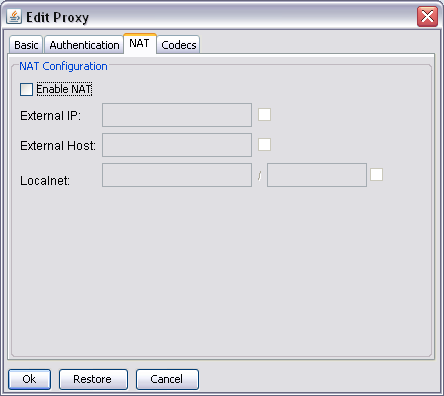 Create a SIP Proxy on the edgeBOX. 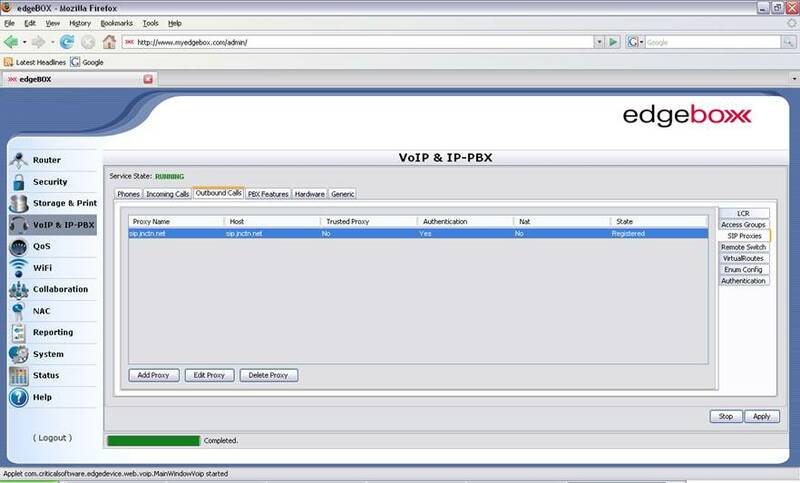 Log into the edgeBOX and navigate to to the VoIP & IP-PBX section. 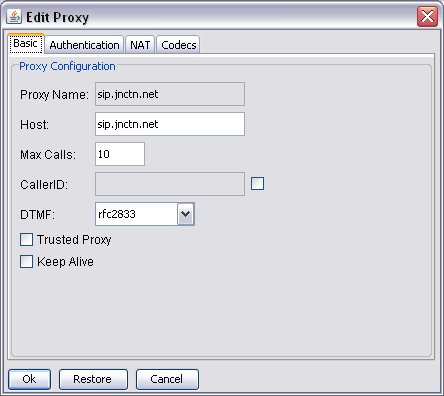 Select the Outbound Calls tab and then the SIP Proxies tab. Click Add Proxy. Click the NAT tab. Leave the "Enable NAT" setting at the NAT tab unchecked. Click the Codecs tab. Add GSM to the list of available codecs. 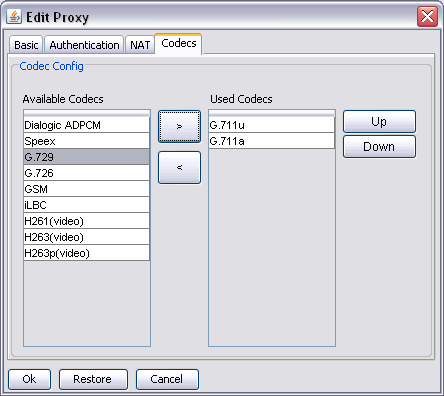 Click OK on the New Proxy window and then Apply on the VoIP & IP-PBX page. 3. 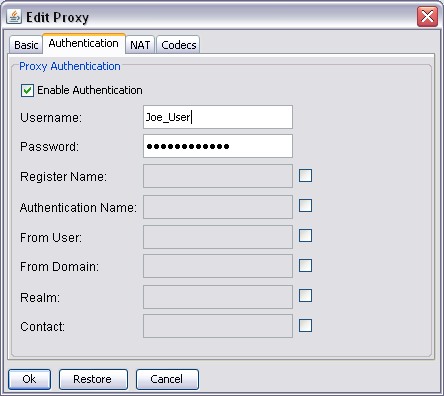 Verify that the SIP Proxy registered with Junction Networks. In the Edgebox, the connection will show up with a green "Registered" under State. In the OnSIP interface, click on Configuration. Under SIP Registration, you will see the connection details. The EdgeBOX is a modified Asterisk server. Therefore, the standard Asterisk SIP settings should work. Please note: videosupport MUST be set to "no" for calls to be accepted.